UK Housing Minister Grant Shapps visited Collyhurst in north Manchester today to talk to local people after a long promised Private Finance Initiative (PFI) redevelopment scheme for the social housing estate was scrapped. £250 millions of promised funding has been withdrawn, leaving the local council, housing organisations and local community groups scrabbling to apply for a much reduced £39 million pot which is by no means guaranteed. 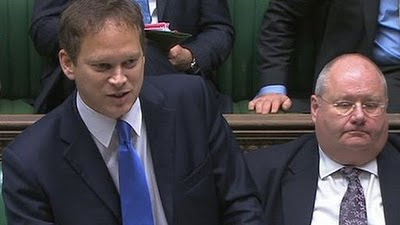 However, Mr Shapps was decidedly upbeat about all this. Although on Radio 4's PM programme (at 42 mins) the chair of the local community association sounded decidedly despairing, the Minister insisted the residents had "got localism" and rather than worrying about losing at least £210 millions of development funding, were busy planning for the future. Well, of course they would be doing that. Unlike the wealthy Mr Shapps, they have no choice and no means of going elsewhere. Like 1.8 million people on social housing waiting lists, they are stuck where they are now that the Government has effectively gutted both the redevelopment and maintenance budgets for the sector. With housing welfare also under extreme pressure, the housing associations which are now the main providers of low cost social housing are busy cutting costs, staff and services. A whole swathe of people among the poorest and most vulnerable are struggling to keep a roof over their heads - and when they do, as likely as not it will be leaking. We live in times which have no history, no knowledge or awareness of what has gone before - or perhaps it is just denial. Because of course social housing constructed in the 1980s and early 1990s will be in a terrible condition now : built to the most minimal standards under the Thatcher Conservatives, the materials and specifications used were appalling. What had been a charitable movement to provide housing for people with specific needs was being steamrollered by Conservative Government policy to replace general needs council housing. Funding was being poured into the sector but with tight conditions about what was to be built - nothing too good, basically - and then with a requirement for progressively more and more privately-raised funding to be used. The consequences were obvious to everyone, as I learned when I attended the opening of a new sheltered housing scheme in Bradford, a city at that time run by Shapps' current boss, the intellectually-flatulent Communities Secretary, Eric Pickles. As local dignitaries slapped each other on the back, I stood looking at the communal lounge with one of the senior staff who had worked on the building. The timber fittings were well varnished, new carpets lined the floors and rather pleasant sofas and easy chairs were positioned for residents to relax on over a cup of tea with their neighbours. It had all the appearance of a community in the making. "It looks really good," I complimented. "Well yes," the developer replied. "But let's face it, it won't be here in twenty years." "Why?" I asked in surprise. "Is something else due to be built here?" "No," came the reply. "But it's built with crap. It will all have fallen down by then!" Grant Shapps' party's last Government destroyed decades of good housing practice. Like its 1960s Labour predecessor with its well-intentioned but misguided foray into tower block construction, the 1979-97 Tory regime ignored the long view. Unlike Old Labour, it happily skimmed plenty off for its construction industry allies - though with its continuing smooch with the PFI after Blair's ascension, New Labour did little to improve things. Now, as Shapps retreats to the comforts of his 5-bedroomed detached house in Hertfordshire, perhaps at the controls of his very own personal aeroplane, the occupants of social housing everywhere are left with his twisted NuSpeak ringing in their ears, his smarmy smile beaming down at them as he slices their communities and life chances away. In an increasingly rare flash of insight, a leading Lib Dem Councillor has decried Shapps and Pickles as the "Laurel and Hardy" of the Government. But as many people in Collyhurst huddle in cold rooms and damp houses in tonight's freezing January weather, it really is no laughing matter. Labels: "Eric Pickles", "Grant Shapps", "housing associations", "housing benefits", "social housing", "Supporting People"
As protests against the Mubarak regime in Egypt grew this week, President Obama could not have been more ambivalent during a television interview about the crisis. In remarks echoed by Secretary of State Clinton, he acknowledged the need for the Egyptian people to be able to have "greater participation" in their Government. But, while he cautioned Mubarak against some sort of Tianamen Square-style slaughter, he employed the old trick of warning the protesters against violence. Things should be resolved peacefully, he proclaimed loftily. Except how can we expect the demonstrators to remain calm and peaceful in the face of the brutality of the Egyptian regime? Egypt is effectively a one-party state where a sham electoral process delivered Mubarak a Soviet-style victory in the last Presidential election and his party, the NDP, 420 seats to just one for the main opposition party in the elections held just 8 weeks ago. Consequently, Mubarak's mafiosi has long depended on its viciously corrupt police and secret services to stay in power. Along with, we have learned from Wikileaks this weekend, $1,300,000,000 per annum from the United States in military aid. Ever since Anwar Sadat travelled to Camp David for the first round of talks with Israel's Menachem Begin and President Carter in 1978, Egypt has played a central role in enforcing American policy in the Middle East. As well as its craven surrender of Gaza to the vicissitudes of Israeli internment, including helping to enforce the current blockade on the beleaguered refugee camp, Mubarak kept his country on message with US objectives during the Kuwait crisis and the Iraq war. This followed a long tradition of the West sponsoring corrupt regimes like Mubarak's originally as a bulwark originally against Arab socialism and its attempts to democratise the region, and now against the perceived rise of Islamism. Of course, neither Egypt's protesters nor the revolutionaries in Tunisia a fortnight ago are driven by Islam in particular. In Egypt, many of the substantial Christian minority - some 15% of the population - have joined in what are secular protests. The main opposition party, the Muslim Brotherhood, is in any case more of the ilk of the ruling AKP Justice and Development Party in Turkey, which is based on Islamic values but essentially democratic in its outlook. Contrary to the frankly ignorant views of the British Foreign Secretary, there is no prospect of some fundamentalist religious regime rising in Cairo - unless of course Mr Hague wants to create such an impression in order to justify a violent crackdown on the protests. Wikileaks has shown that the US has since 2007 tried to play both sides - covertly courting opposition figures like the International Atomic Energy Authority chair, Mohammed ElBaradei, just in case Mubarak ended up in the fix he is in now. But Obama is caught not only by his current equivocation, but by three decades of America and Europe supporting the twisted nepotism and sham freedoms of the NDP and its elite. He may try to ride two horses in his patronising advice to the protesters, but his words are likely to fall on deaf ears. In the sixth century, the Byzantine Emperors bribed the Ghassanids, petty Arab chieftains, to defend the borders of the province of Palestine against the emergent Muslims in Arabia. When the Arab armies came out of the desert, the Ghassanid rulers found themselves deserted en masse by their troops and the Islamic ghazi warriors swept into Palestine and Syria before turning south to conquer Egypt for the Caliphate. Now as then, subsidising corrupt men to rule over reluctant peoples does not pay - rather it makes the reckoning all the harder when it comes. Which Egypt: What would Ba say of Obama? ElBaradei has criticised the US for condemning authoritarian regimes in Burma and Iran, but being silent about those who are "our dictators". As Pinochet's Chile, Somoza in Nicaragua and the Ibn Sauds in Riyadh exemplify, his words ring so terribly true. And this is why for Obama any hope of winning the hearts and minds of the rising revolution in Egypt is now a moment lost. Had he used his own visit to Egypt in 2009 to press for truly fair and free elections, he might have restored some faith after years of collaboration with the Mubarak. 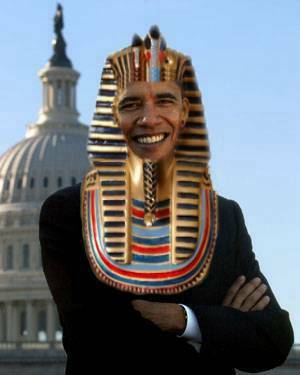 But he balked at such a prospect and instead warmly embraced the failing Pharaoh, and now pays the price. In ancient Egypt, the goddess Ba of the Two Faces was revered as a symbol unifying the halves of Egypt - upper and lower - and her two faces represented her ability to see both sides. 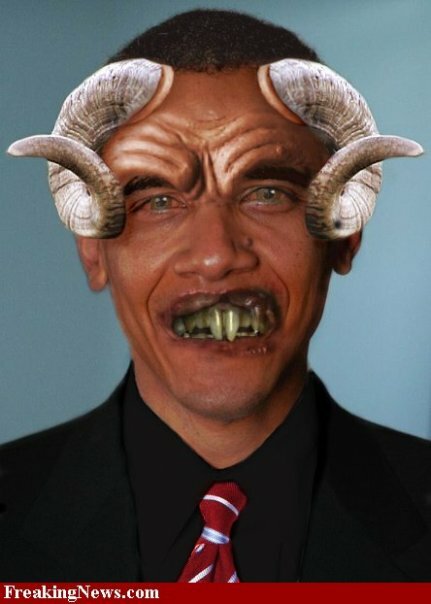 Sadly, Obama's two faces are not formed from his perceptions or in any way unifying. His failure to act decisively, this week and previously, simply confirms America's claimed support for genuine democracy to be the fraud that it truly is. It was only a matter of time: having picked off the disabled, the elderly, the public sector and others, the Conservative Government is now turning its attention to slashing employment rights of British workers. 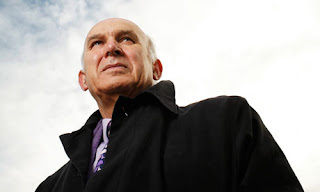 The Business Secretary, the loose-talking Lib Dem stooge, Vince Cable, who used to work for such enlightened employers as BSkyB, has just announced a consultation process on changes to employment protection law. Among other measures designed to make it ever harder for workers to secure any protection against ill-treatment, the proposals will double the period of time employees need to work before gaining legal protection against unfair dismissal. If, as is almost certain, this neo-liberal "flexibility" measure goes through to the statute book, staff will have to work for two years rather than the current one year before they can seek any redress if their boss just looks at them one day and tells them to get out. The Great Myth is that the current employment protection laws we have are dreadfully complicated, cost employers millions of pounds and make it virtually impossible to sack anyone, even if they are useless at their job/thieves/never at work, etc. The media regale us again and again with tales of people getting hundreds of thousands of pounds because their line manager looked at them the wrong way - political correctness gone mad! Except none of it is true. Employers can pretty much dismiss with impunity as long as they follow a set procedure and have reasonable grounds for their decision. Only if they dismiss someone (presently with more than 12 months service) without good reason or without following a process that complies with the ACAS Code of Conduct is there any chance that an Employment Tribunal will find against them - and in total just one in ten submitted unfair dismissal claims actually reach a full hearing and win.. Even if an employer loses a case and unfair dismissal is found to have occurred, the average award made to an unfairly dismissed employee is a paltry £9,120. The median award was just slightly over £4,000 in 2009-10. The average award is therefore about five months' pay for the average earner, even although they have been found by law to have lost their livelihood.unfairly and will almost certainly struggle to find other work. And even worse, in 40% of cases where unfair dismissal is found to have happened, no award at all is made. So, in other words, less than 6% of submitted claims of unfair dismissal end up in a tribunal hearing where a financial award is made against the employer. To claim this protection makes it difficult for employers to hire and fire staff, stifling entrepreneurship and preventing job opportunities for people who need work, is quite frankly a pernicious lie. Doubling the period without protection will help no one apart from unscrupulous slavers who want even longer to be able to "let people go" with absolutely no need to account for their actions, regardless of the impact on people and society. There are, to be acknowledged, some "no-win-no-fee" legal firms that do sometimes lead to groundless claims being submitted in the hope of getting a compromise payment from a former employer, but tribunals already have the power to dismiss frivolous claims. Doubling the period of protection will by contrast simply leave innocent people vulnerable to the employers' they depend on for their livelihoods even longer - a shocking power imbalance. Ironically too, it may lead to some reluctance among staff to look for new jobs, reducing healthy turnover in many companies or organisations - if you are reasonably secure in your current job, why would you want to go and find another one if it meant that for 24 months you could be dismissed on a whim? If society is about more than making money for owners, serious reform of our employment laws is needed. Capitalists argue that employers create employment for workers and so must be given the advantage in our economic arrangements. For this reason, British employment law is even now based on the traditional legal concept of the rules of "Master and Servant", whereby the master (the employer) has an absolute power over the servant (the employee) who in turn has an absolute obligation to obey. Thanks largely to the efforts of the trade unions, statute law has mitigated this appalling construct to some extent, but it remains core to the way the employment relationship functions. Yet where would employers be without their staff? As often touted in management manuals and corporate propaganda, businesses are their people - so the law should expect businesses to treat their people with some respect and dignity. This blog has argued for a fundamentally different, socialist society. In its absence, the only fair alternative would be employment laws which provide protection from day one of employment - this would still allow dismissal if for genuinely fair reasons and via a thorough and fair process; but where unfair dismissal is found, the damages incurred by the employer should be punitive rather than the piss-poor half-hearted compensatory ones that currently apply. The media and the Government of course will rail that such an arrangement would damage business. Yet even many of the people who write such twaddle ignore the fact that they are employees themselves, along with over 85% of working people and as such potentially subject to the arbitrary action of their employers. Fortunately, not all employers behave in unfair or arbitrary ways, but many people have suffered greatly at the hands of those who do, and if Vince Cable and his gang-masters have their way, these hands will be even more maliciously powerful than they have been in nearly two decades. 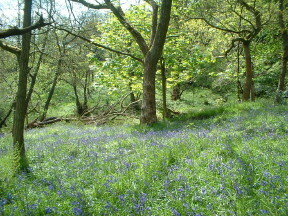 In recent years, "green", eco- or natural funeral options have become pleasingly more and more widespread, one welcome benefit from the loosening of regulations about the disposal of our earthly remains - there are many choices, such as woodland burials, eco-coffins and more. Rather than headstones, memorial trees are often planted over the burial site, nourished in time in a natural way, bringing new life from old. Yet one insensitive, piss-taking, penny-pinching, cold-hearted Conservative Council has proposed this week possibly the worst and most tasteless case of deceitful greenwash in history. Redditch Tories have come up with the wheeze of using the heat released from a council crematorium to warm up the local swimming pool, with up to £14,000 p.a. to be saved in costs to local taxpayers. More than a little understandably, local trade unions have described the plan as sick and one funeral director said he found the idea "ghoulish" - yes, indeed it is. But Mr Hull from the Federation of Burial & Cremation Authorities supports the plans as supposedly, "From an environmental point of view, it makes sense." Does it really? Of course not. Aside from the ethics and taste of it, or the sheer psychological impact on the bereaved ("uncle's gone, but he's keeping the pool warm for you"), the FBCA are being ingenuous in suggesting cremation ever makes environmental sense. For cremation (now the favourite funereal form in the UK), bodies have to be incinerated at temperatures of up to 1,150 degrees centigrade, creating a massive carbon footprint. 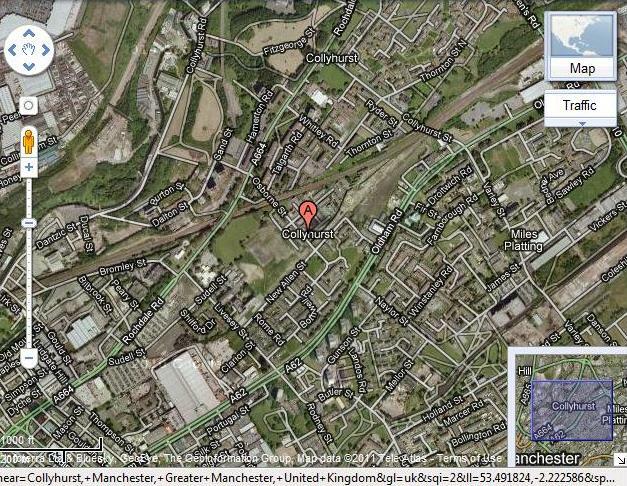 The industrial-scale effort expended by modern crematoria is something that simply can't ever be pollution-free. Burial in graveyards might seem a better option, but modern coffins are no low-tech, low-resource beasts either. They often come in chemically-treated hardwoods, but even if faster-growing woods are used, the metal and other synthetic fittings involve significant processing as well as often being non-biodegradable. In addition, the embalming of bodies involves the use of toxic chemicals you wouldn't dream of allowing to touch you while still breathing. Consequently, longer term, these can leech into the surrounding soil and poison the environment. And graves themselves are often reinforced with concrete - a material exuding one of the heaviest carbon footprints of all during its manufacture. So the funeral business is a long way indeed from being remotely eco-friendly. What should be a very natural process of reassimilation into the Universe has instead become a significant contributor to the degradation of Mother Earth. It would be far better to deregulate land use further and encourage burials in eco-friendly coverings or biodegradable, non-intensively manufactured coffins. Instead of selling off our national forests as the Conservative Government is proposing, we should use them as natural cemeteries, where people could visit the trees and shrubs that could be living testimonies to their deceased loved ones. Then, rather than causing damage to the planet from which we sprang, our passing can be marked as a celebration of our own life and the new life that our end forges in the biosphere around us. Colony Collapse Disorder of bee hives has killed tens of billions of bees over the last decade or so. Beekeepers across Europe and North America have found each summer their hives empty or filled with dead bees - as much as 40% of the total bee population. In the absence of any obvious cause, there has been wide ranging speculation about climate change, viruses and mites, and pesticides. We depend on bees pollinating crops for a huge proportion of our food - some estimates suggest as much as 70% is dependent on pollination by bee and other pollinators such as various weevils and beetles, birds and bats. Bees are particularly important as they carry out about half of this "free service" from Nature, as farmers refer to the pollination process. ALL of these species are mysteriously declining across Europe and North America - notably, there are fewer to no instances of colony collapse disorder in countries where these chemicals are still largely absent from their agriculture (although there is a risk that, if they are banned country by country in the rich nations, the chemical companies will try to foist them on poorer nations, spreading the contamination). If the decline is not arrested, the brutal truth is that it will not be long before a domino effect could follow with significant declines in food production in the northern hemisphere when food prices are already at record levels. No one can realistically guess how far the process could go and the serious social, economic and health problems that could result. A two year old North American study, as yet unpublished but seemingly verified by recent work by French scientists, confirms the adverse toxic impact of nicotinoids (including a specific type called Imidacloprid). A range of experiments have shown that, even with tiny dosages which cannot eventually be traced in their bodies, bees exposed to nicotinoids are very substantially more likely to contract illnesses which kill them. 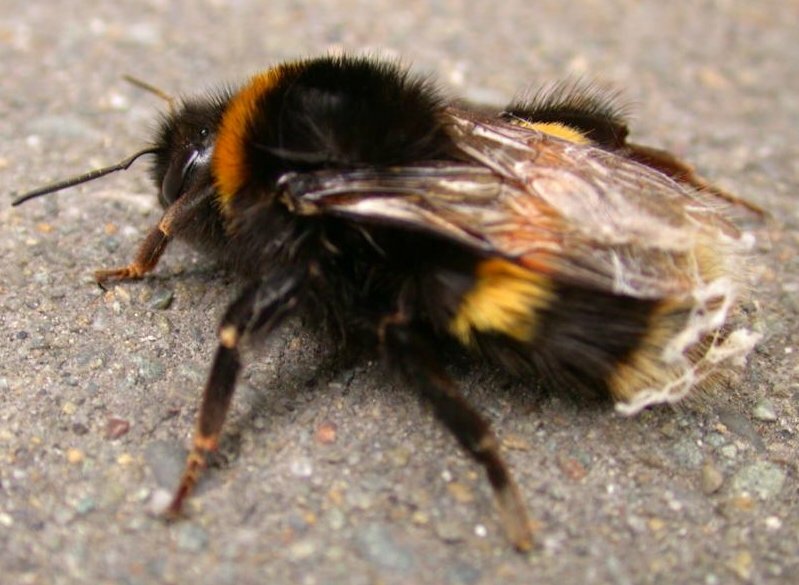 Although the pesticide itself may not destroy them, there appears to be a strong link between it and bee deaths, perhaps through damage done to the immune and/or nervous systems. The pesticides are used to target mites attacking agricultural crops, but once a plant is treated with them, they are highly invasive, seeping into the plants' structure rather than remaining as a coat on the surface. Consequently, bees taking pollen from the plants, even sometime after the pesticide treatment, are likely to be ingesting the toxins and, by then feeding the pollen back into their hives, spreading its effect to other bees, including unhatched larvae and the Queen Bee. The German company Bayer is the largest manufacturer of nicotinoids, which were deployed over a quarter of Britain's agricultural land last year. Bayer insist these are safe "when used correctly" - even although the tests they have used previously to establish this safety stamp have been criticised by some in the scientific community as not valid. But perhaps one of the most troubling aspects of this has been the lobbying Bayer has done with the British Beekeepers' Association to try to head off criticism of nicotinoids - the Co-op has banned their use on its suppliers' farms and the Soil Association has petitioned to make them illegal. As well as supplying speakers to run sessions at last year's BBKA conference to reassure about the supposed safety of nicotinoids, Bayer have managed to secure BBKA endorsement of some of its products as bee-friendly, in spite of the strongly voiced reservations about the toxins impact on bees voiced by some very well-qualified BBKA members. The BBKA has been criticised by members over its financial relations with the agrochemical industry in the past, but in the wake of the latest furore it had now promised to break these off. However, the fact remains that, although nicotinoids and their derivatives have been banned in many European countries, they remain widely used in Britain and the USA. Bayer and other manufacturers such as Syngenta remain busy at work justifying the continued use of their products. International action by the Food &Agricultural Organisation of the United Nations is urgently needed to arrest the spread of these dangerous chemicals and tackle the decline in pollinator populations. Further confirmation of the study's findings is needed, but in the meantime, nicotinoids should be prohibited internationally as a precaution. 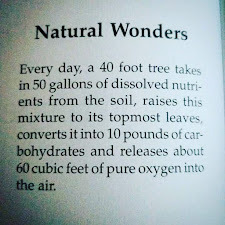 Our biosphere and the creatures that inhabit it (humans included), all linked in ways so complex we cannot even begin to comprehend, are too fragile and too precious to put at any further risk simply for the sake of the shareholders of agrochemical giants like Bayer and Monsanto. The words, contrary to myth, are not his and they may exaggerate the speed of impact - but in a world with such incredible co-dependency between the species, we ignore their salutary warning at our peril. Facing his questioners at the Chilcot Inquiry into the Iraq invasion earlier today, former British Prime Minister Tony Blair deftly deflected the line of investigation from his support for President Bush' bloody and illegal attack to make a call for the West to take on Iran in a new military adventure (click here for video in immediately previous post). Ignoring the fact that, even as he spoke, Iran was opening discussions in Istanbul with a range of countries to seek a resolution of the nuclear issue, Blair said the time had now come to "get our heads out of the sand" and take action against Iran. "I say this with all the passion I possibly can," insisted former "straight kind of guy" and now multi-millionaire Blair, bizarrely now a Peace Envoy for the Middle East, as he went on to claim that Iran's malign influence is everywhere. This from the man who used to claim that Saddam was supposedly capable of striking almost anywhere with his non-existant weapons of mass destruction. 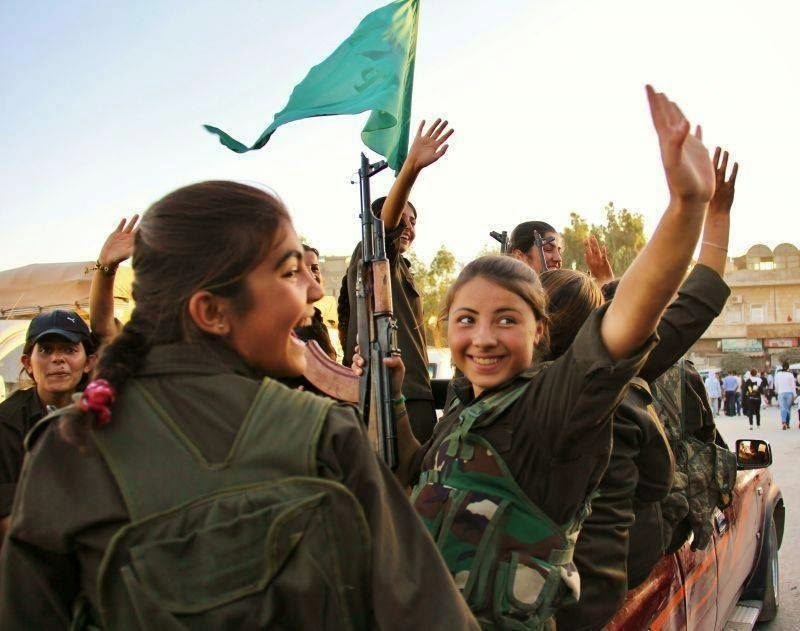 He opined yesterday, "The fact is they (Iran) are doing it because they disagree fundamentally with our way of life and they'll carry on doing it unless they are met by the requisite determination and, if necessary, force." His lies are breathtaking. Totally discredited over his misleading of the British Parliament over weapons of mass destruction, here he now is smugly proclaiming a new crusade before sanctimoniously expressing his dry-eyed regret for the deaths caused by his last war. Iran's current Government has a troubled record - but mostly within its own borders. To portray it as some sort of international pariah is to mistake or misrepresent the rhetoric of some of its political leaders for actual acts. Iran has no links to al-Qaeda - quite the contrary: its last President rounded up hundreds of al-Qaeda suspects after 9/11; Iran was instrumental in persuading the Northern Alliance to ally with the USA in its invasion of Afghanistan; Iran tracked down and arrested Bin Laden's son and offered him up to the Americans in 2002 - only to be rebuffed by George Bush and then denounced as part of the utterly fictitious "Axis of Evil". Even just three weeks ago, Iranian authorities arrested seven of Bin Laden's associates - a fact largely unreported in the West. Blair is a man ignorant of the past and Britain and Iran's historical relationship - intertwined in many ways, with much in common, but also much confused and damaged by British economic imperialism and military interference, including the subversion of the Iranian democracy of 1953. He remains as ignorant of the present, callously using the prejudices of the rightwing media to try to deflect criticism of his blood-soaked intervention in the Fertile Crescent in 2003. 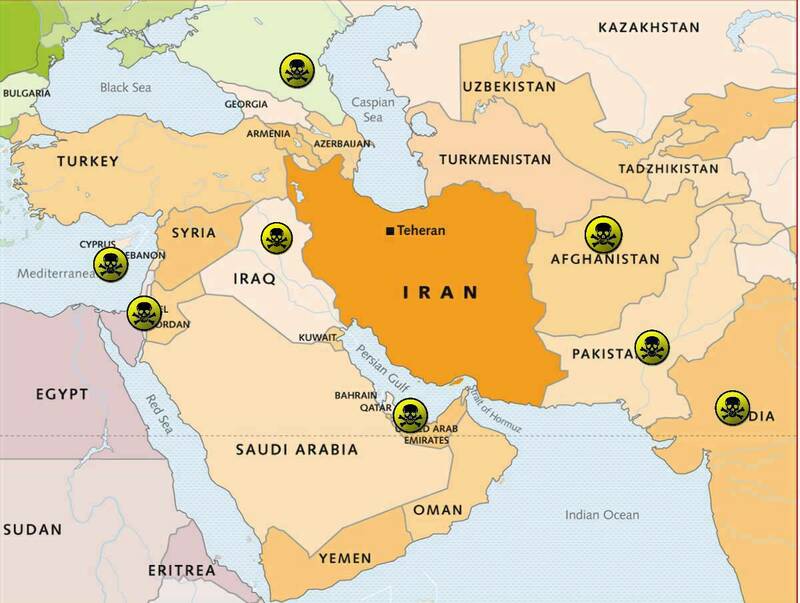 Iran is surrounded by nuclear weapon states - Pakistan, India, Russia, Israel (which, as revealed by the badly persecuted Vanunu Mordechai, has long had an nuclear arsenal of as many as 200 warheads) and the American forces in the Gulf and Mediterranean. 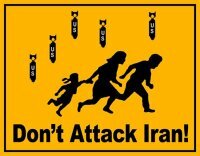 By the warped logic of nuclear deterrence theory, the Tehran Government would be crazy not to seek a nuclear arsenal of its own to deter these states, none of which have shown any particular benevolence previously. If the world wants real reassurance that Iran will not develop these awful weapons, it would do well to seek international disarmament, rather than somehow expect it to remain non-nuclear and trust in its neighbours' previously unproven goodwill. The outcome of the Chilcott Inquiry will be a report on "the lessons to be learned" from the Iraq war and the actions of Blair and his cohorts. It is frankly rather unlikely to have him arrested and carted off to The Hague to face arraignment as a war criminal for his past acts of aggression. But it could at least make clear that, as he pleads some special insight in spite of his ill-informed, prejudiced take on the world, no one shares his analysis, no one cares or believes what he thinks and, perhaps what would hopefully sting this would-be latter-day Caesar the most, no one is listening any more. Iran's nuclear noose - its' neighbours India, Pakistan, Russia and Israel are armed with nuclear weapons, while US & UK forces based nearby in Afghanistan, the Persian Gulf, Iraq and Cyprus have ready access to atomic arsenals. Former British Premier Tony Blair deflects questions about his attack on Iraq with a perverse call for an attack on Iran. It speaks for itself - "Michelle Mahoney, 24, and Matthew Small, 25, were on their way when they got stuck in traffic on the way to bury their stillborn baby, who they had named Angel. When they arrived at the graveside they found a small mound of earth and realised their daughter's funeral had gone ahead without them." The staff at the crematorium were described as being horrified and called the Vicar back to carry out a service for the dead baby, but understandably the bereaved parents remained inconsolable. Anyone can of course make a mistake or a bad judgement call and nothing is ever perfect. Those who work in jobs in sensitive areas such as funerals, health and social work have the additional stress of the consequences of a mistake being infinitely more serious emotionally or physically than most people risk. Yet what struck me about this case, almost as much as the dreadful pain of the distraught parents, was the identity of the undertaker who buried their child without them being there - a contractor with the Cardiff hospital where this sad tale originated. D Caesar Jones was the funeral directors in question - nothing apparently unusual about this until it transpires that this is a mere local subsidiary of a national funeral business, the ironically titled DIGNITY PLC . Dignity PLC proclaims itself as the "ultimate funeral professionals". It offers advance planning schemes, offers a find a funeral director to steer you to its franchisees, links to the Samaritans and sets out pictures of smiling people to ease you on the way to their bank account. It even provides templates for sympathy letters - so you need never be at a loss for words writing to the bereaved thanks to this Microsoft of the Afterlife. 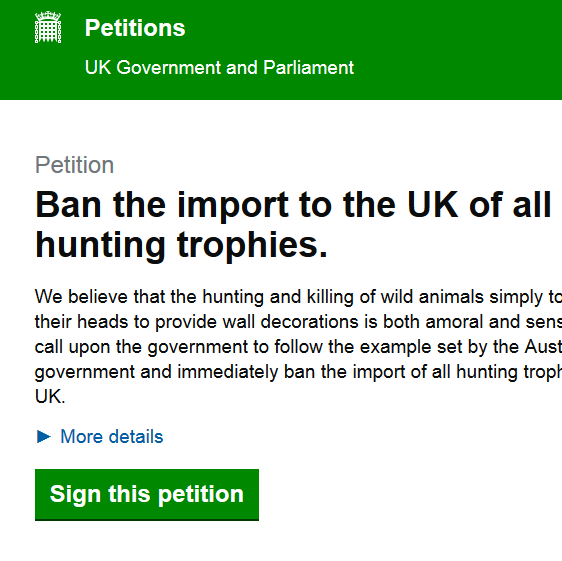 All very thoughtful - and very worthwhile for their owners as they chalked up a profit of £26 millions in 2009. I do not know anything about the motives of their shareholders, but it is, with many others of its type, big business making money out of people's most basic needs - in this instance for a dignified exit from life, for time and space to mourn a lost love one. "DIGNITY" and "PLC" - can these two monikers logically sit side by side? PLCs are "public limited companies". Under corporate governance law, including after New Labour's botched reforms in the middle of the last decade, PLC's have one sole objective - to maximise the financial return for their shareholders. Any deviation from this by their Officers potentially breaks the law. That is why corporate social responsibility initiatives are never more than revenue-seeking PR campaigns - if they were actually about CSR, those running them would be liable to be fired and even prosecuted for wasting their companies' resources, reducing profits and breaking the law. The UK Government's Business Link encourages businesses to look at CSR because "it can be good for your bottom line" (I.e., profit). 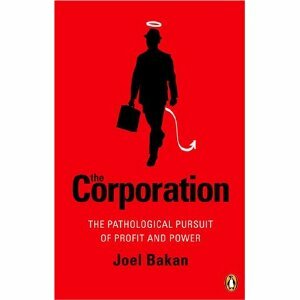 In his book and film, "The Corporation", Joel Bakan explores the legal fiction, common to most of the western world, that allows PLC's to claim the same legal status as human beings - a PLC is an artificial or legal personality. This ludicrous state of affairs provides all manner of protection for the entity, including being able to claim the right to privacy in its dealings. It also shelters the actual real humans who own shares and benefit from its profits and dividends from any adverse legal and financial consequences from its actions. If it does not pay its suppliers, they are personally immune from its liabilities. If it commits ecocide or manslaughter as a result of bad practices and is sued, they are not financially accountable if it cannot pay its damages. If its officers, driven relentlessly to maximise financial returns for their shareholders, break the law in doing so, it is they who face prosecution, not the often faceless shareholders whom they serve. 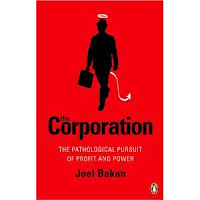 Consequently, Bakan characterises the Corporate Personality as essentially psychopathic in its essence - it operates in a totally egocentric, self-interested fashion without conscience or regard for the impact of its actions on individuals, communities, other species or the environment. Beyond those it needs to satisfy its insatiable demand for profits, it has no care for its staff and discards them as soon as they are surplus to requirements. By contrast, the dictionary definition of dignity , from the Latin root dignus, refers to: "The quality or state of being worthy of esteem or respect; Inherent nobility and worth: the dignity of honest labour." I pass no judgement on the particular company cited in the story. They are far from alone in seeking to combine an apparent concern for others in their services with maximising the amount of money they make for shareholders who may or may not have any interest or even awareness in what they do - indeed, many shareholders are now other large, faceless PLCs. 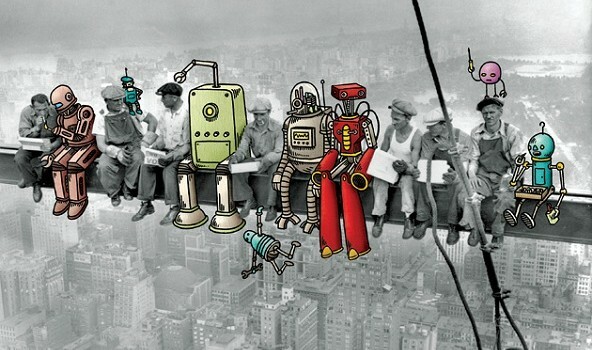 Consequently, it can be difficult to trace the human identity of many of those who own these fictitious corporate personas - something which may frustrate the efforts of an American woman who, with the assistance of the Green Party of the USA, has taken the law at its word and is now seeking to find a corporate suitor to woo and marry. In this context, using names like "Dignity" or "Care" or "Kindness" is simply one tool to attract business and harvest money. 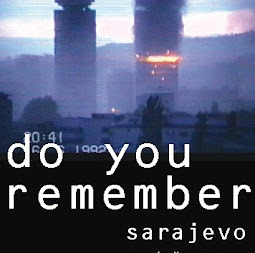 The people working in such operations may be perfectly decent and caring on an individual basis, and, as Bakan describes, may finish their day going lovingly home to their families and friends, but as corporate entities, such benevolent behaviours would be quite inimical to their purpose. So the tragic story from Cardiff is sad indeed. But Governments of all hues are committed to nothing but window-dressing when it comes to any reform of our corporate laws, and totally beholden to the market system which has led steadily to larger and larger conglomerates swallowing each other up. Consequently, they have become increasingly remote from those they provide services to, and it is little surprise that such an appalling incident can occur. Dignity is defined by the Royal College of Nursing as "concerned with how people feel, think and behave in relation to the worth or value of themselves and others." And money can't buy that. Not ever. Oil men are hardly known for their humility. Ever since the black stuff began to be exploited on a mass-industrial scale at the turn of the 19th century into the 20th, gradually usurping coal as the carbon fuel of choice, they have blustered and battered their way to economic and political supremacy across the globe. They have happily undermined democratic governments and movements, sponsored corrupt governments of the most odious kind, such as the House of Ibn Saud in the Arabian peninsula, and happily drilled the environment into oblivion. They have worked without regard to the consequences for both people and planet - witness the Ogoni's travails with the Shell oil company and the judicial murder of Ken Saro-Wiwa in Nigeria. In addition, by frustrating anything that threatened this supremacy, such as fuel efficient cars using (potentially) clean energy, the oil industry has shown its moral bankruptcy, just as its profits have soared to record levels. 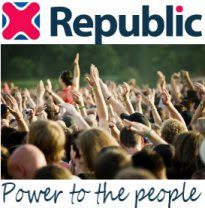 Of course, with massive funds ploughed into public relations and political lobbying, they have been adept at ensuring that they appear to be on the side of "ordinary people". In the UK, both in 2002 and again now, consumer anger resulting from price rises driven mainly by the oil companies themselves is being deflected onto the Government's fuel duties, rather than on oil companies' soaring profit margins. And likewise, in the USA, any attempts by progressive politicians to restrain the carbon economy, including preventing dangerous exploration such as the Deepwater Horizon in the Gulf, have been met with the most outrageous responses likening them to national enemies and traitors. It is little surprise to find that, just weeks after the Gulf disaster, Sarah Palin and her Tea Party allies like Rand Paul were happily dissimulating their way to electoral victory on the back of substantial funding from, among other oil conglomerates, BP, owners of the stricken oil rig. And there could be no finer example of politics firmly in the pockets of Big Oil than this chillingly bizarre tirade from the 2008 Republican Party Convention. 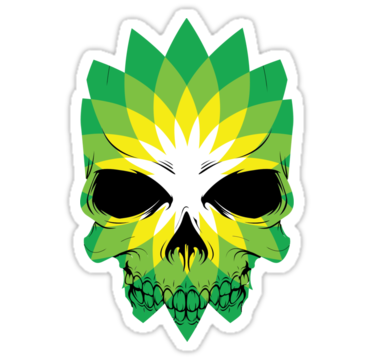 BP, previously known as British Petroleum, but now in effect a large multinational well above the scope of control of any national government, has a dreadful record on so many counts. 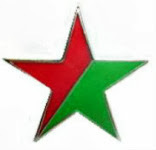 For example, in its original guise as the (entirely British owned) Anglo-Persian Oil Company, in 1953, it persuaded then British Premier Winston Churchill and the American Government to sponsor a coup d'etat to overthrow the democratic government of Iran and impose the brutal dictatorship of the Shah. Why? Simply because the elected Premier planned to nationalise the oil industry after nearly fifty years during which Anglo-Persian had been despoiling his country of its biggest asset with barely any payment made to Iran itself. 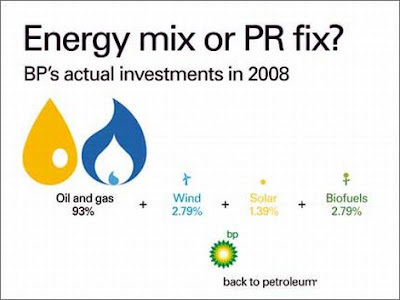 Later, in the early 2000s, as fears of global warming increased and demands for curbs on the runaway carbon economy grew, BP came up with a new wheeze. Oil would not last forever, they admitted. And so "BP" no longer stood for British Petroleum, but rather "Beyond Petroleum". They were not an oil company at all: no, rather, they were an energy company. And so they announced investment in alternative energy technology development, from carbon capture to solar power and biomass. Why, had we not noticed that even their company logo had always been green coloured - how could we possibly doubt them? Except that the proportion of investment into new technologies was and remains utterly tiny compared to that for oil and gas, as evidenced in 2008 when new CEO Tony Hayward effectively restated the fundamental commitment to oil. Unsurprisingly, if anything, this commitment has increased. In the face of the growing evidence that we are now around the moment of "Peak Oil", BP and others have sought more and more ways of extracting oil from terrain which previously would have been uneconomic for them to do so. 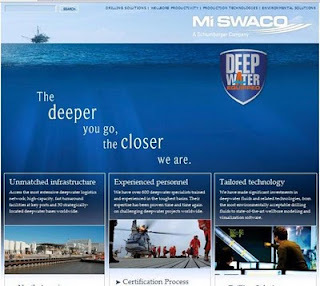 Deep-water drilling in the Gulf of Mexico has been joined by similar projects all over the world - among many other places, off the west coast of Africa, off Indonesia, and off the north-west coast of Scotland. Now, just a few days ago, BP have sold a 5% stake in their ownership to Russian oil company, Rosneft, in order to begin drilling in the previously unspoiled Arctic. Deepwater drilling anywhere is exceedingly dangerous - the weather can overwhelm the most sophisticated of human technology; or, as with the Deepwater Horizon, human error, driven by cost-cutting and profit-seeking, can lead to accidents with devastating consequences. Although technology has improved in recent years, as the Gulf disaster has shown, remedying faults at phenomenal depths is difficult in the extreme. In the Arctic, it may well be impossible. Yet, clapping their hands in delight at the retreat of the northern iceshelf as global warming grips, the oil companies are relentlessly pursuing projects to extract oil and gas in more difficult and more sensitive environments. Product demand is surging with the rise of the emergent BRIC* economies, and as supplies from our normal sources get tighter (we use around 30 times more oil than we discover each year now), the consequent rise in price makes drilling in such difficult conditions more affordable for profit-maximising companies. However, it is no less dangerous to their workers, to local communities or the ecology of the surrounding regions. And of course the ultimate irony is that as ice-melt caused by man-made global warming makes drilling in the Arctic feasible, the response of the so called Beyond Petroleum BP is not to anxiously see this seminal environmental disaster as a spur to urgent investment in alternative, clean technologies. Rather, it is viewed as a golden opportunity to grab a bigger share of the oil market. We cannot prevent runaway global warming and preserve our human civilisation by depending on the goodwill and foresight of the oil industry. Time and again, they have shown their interest is solely in shareholder profit and managerial bonuses. After some desultory handwringing over disasters like Deepwater Horizon, the Prudhoe Bay spill, the Exxon Valdez disaster and Amoco Cadiz, they have carried on as before. 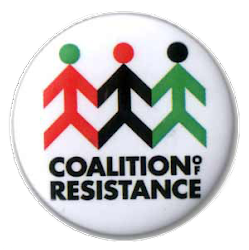 They have colluded in suppressing protest and human rights, involved us in wars like Iraq, employed mercenaries to attack trade unions and local communities, and used sophisticated political lobbying to ensure they remain unconstrained in their activities. Governments may talk of regulation, but any they enact are normally little more than window dressing - the magnates remain untamed. Multinationals and the market will not deliver the change we need - as oil becomes scarcer, it will become more and more profitable to sell. Developing renewable energy will not be in the interests of these companies because their sole raison d'etre is to maximise their short to medium term profits. 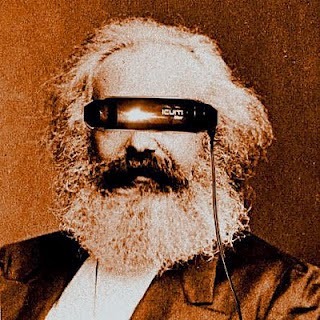 The dictates of capitalism incredibly mean that their objective is not even to ensure their own long term success - few of them have strategic plans stretching beyond the next five or ten years. So for the action we need to curtail the carbon economy and invest seriously in cleaner, renewable energy, we need to turn to governments and politics - new, green politics. 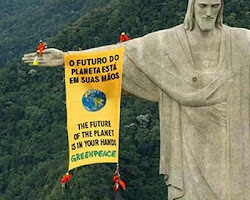 Only then, will we ever rid ourselves of our carbon addiction and really get beyond petroleum. "My Well came in big and there ain't a dang thing you gonna do about it!" Just after 2 a.m. on Friday, 14th January, returning officer Charlie Parker announced the result of the parliamentary by-election for Oldham East & Saddleworth constituency. Labour's Debbie Abrahams was declared elected, her majority over her Liberal Democrat opponent increased by a factor of over 35 times since the General Election last May and in percentage terms up from less than a quarter of one per cent to a far more comfortable 10.2% - the largest majority in the constituency for any party since its creation. The Lib Dem vote increased very slightly in per centage terms - by 0.3%, while the big shift of the night was a substantial decline in the Conservative vote - down by over 13% to just 12.8% The right wing UK Independence Party was slightly up while the more extreme right BNP slid to lose its deposit. The Green Party, standing for the first time and with just two weeks of campaigning, but also with an impressive candidate, picked up 530 votes - while four others drew rather fewer between them. The by-election is worthy of note for a couple of reasons - for one, it was called because the Labour MP who won the seat in May 2010 was ejected by an election court for lying about his Lib Dem opponent, the first instance of this in over a century. Secondly, it was the first significant vote on the Con-Lib Dem Coalition since the general election. It was also, untypically, a three-way marginal in 2010 - Labour were barely a hundred votes ahead of the Lib Dems, with the Conservatives just over two thousand behind. All three had something to play for. But of course, the story was always going to be what happened to the Lib Dems - it was their complaint that triggered the election; and as it had been a target seat for them, after going into coalition with the Conservatives, backtracking on many of their election pledges and seeing their national opinion poll support slide from 24% to just 7% in some surveys, the big question was whether or not they stood a chance here. Would they win, or could they even be relegated to third place? In the end, neither happened - their vote share stayed steady and they began and ended in second place. And, of course, their leader and his apparatchiks hastened to hail this as a "strong result" proving they remain a viable force, the third place Tories being the ones with something to worry about. This was a perfectly predictable response - somewhat less so has been the adoption of this rose-tinted analysis those Lib Dems who had previously expressed doubts about the Coalition. From former leader Menzies Campbell and former Party President Simon Hughes, to current President Tim Farron and Lib Dem activists and bloggers, the outcome has been portrayed not as a relief, but nearly as a triumph in these tough times. Full steam ahead for the Coalition these former, alleged doubters and dissidents now appear to be saying. A 2 horse race, will one nag be off to the glue factory soon? If sustained, this is a rush of incredibly bad judgement on their part - because, in line with the Lib Dems' desperate efforts to win over Conservative voters with their "it's a two horse race" literature (complete with standard LD misleading bar chart), a tactic nudged gently along by the Conservative leadership to help their flailing Coalition partners, several thousand Conservatives clearly defected to the Lib Dem candidate in a tactical vote. That was enough to shore up the Lib Dem vote share, but in absolute terms their vote total was down by three thousand, while Labour's vote share rose by 10% and smaller parties by 3%. Take away the very substantial but essentially tactical Tory vote, which the Lib Dems worked so hard for - getting volunteers from all over the UK to phone voters in the constituency and laying on free travel from as far away as Edinburgh to lure activists to the seat - and the real story is the huge collapse of the real Lib Dem vote. This is no surprise to most people - and frankly, who cares about the fate of the Lib Dems anyway? But for the country, the Lib-Dems-in-denial factor is worrying in that it removes what tiny chance there was that some of them just might constrain the worst of their leadership's toadying up to the right wing Conservative regime that, paradoxically, needs their support to survive. Not that you would know the Tories need the Lib Dems to stay in Office - there is no distinctive Lib Dem narrative running through the Government. It is in effect a Conservative Government with Lib Dem support, not a Coalition. The Lib Dems of course insist they did not win the General Election - surely, but neither did the Conservatives. Yet what we see being implemented is pretty unalloyed Toryism. 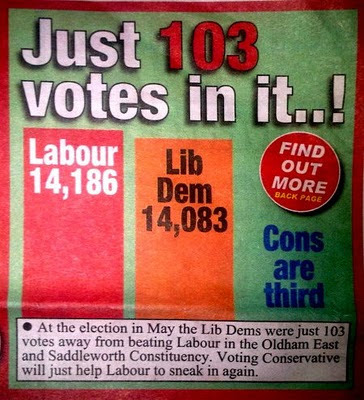 The tragedy of Oldham East is that Clegg seems now to be being given the green light from his party to push through yet more of the neoliberalism that has marked their first months in power - on spending cuts in education, health and social welfare, all wrapped up in rank monetarism. Vulnerable people will suffer badly under these essentially ideological initiatives, some of them greatly and terribly. May Hell mend these wil o' the wisps. They truly are fair weather progressives - puffing up their alleged dissident principles when the polls look bad; delighted to feverishly shed them and hail their glorious leader at every faint glimmer of hope, however transient or delusional. If these last few gasps of opposition to untrammelled Conservative rule give up, it will mean the final extinction of the tattered remnants of a century and a half of social liberalism. They may hope that, if somehow the economic situation improves and people have short enough memories, their fortunes will rise again. Yet logic dictates otherwise - a recovery will benefit the Conservatives alone; a prolonged recession will benefit the progressive opposition. 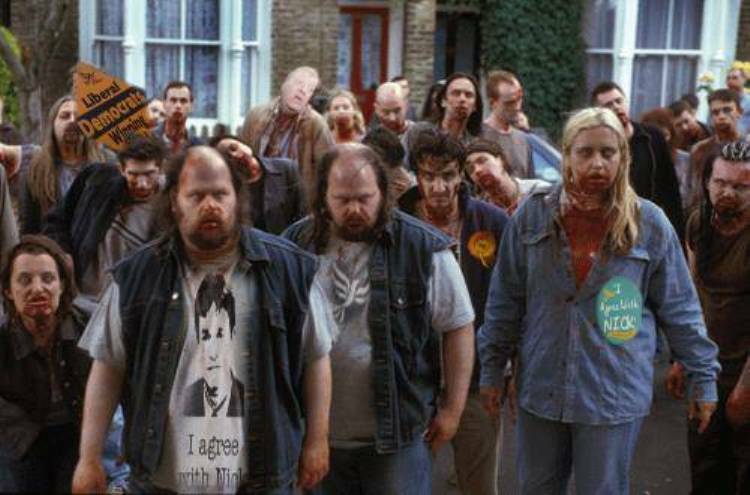 For the Lib Dems, bizarrely neutered by finally being in power, it will be more a long wait for the omnibus to oblivion, a zombie-like existence as their electoral base and local support shrivels and dies around their beleaguered parliamentary party. Just as Hitler grasped at every last straw as his Bunker was surrounded, imagining ghost armies into existence, so Oldham represents for this party of chancers not so much light at the end of the tunnel as the dawn of the politically dead. Liberal Zombies - Dying Here! Will No One Rid Us of These Meddlesome Messiahs? Henry Plantagenet, King of England and Normandy in the tumultuous second half of the 12th century, brooked little dissent. Imprisoning even his own sons and his wife when he suspected them of plotting against him, the only real opposition he faced came from his former friend, the Archbishop of Canterbury, Thomas Becket. He had originally appointed him as his placeman, but Becket soon proved far from compliant and Henry was infamously heard to mutter "Is there no one who will rid me of this meddlesome priest?" Taking him at his word, four knights rode to Canterbury and dramatically slaughtered the Archbishop at the altar of his cathedral . Henry duly professed his horror and did his penance, even submitting to being scourged by the Pope’s representatives. How could they possibly have thought he meant what he said? Echoing down through the centuries, the story of Henry and Becket seems very relevant to the last fortnight with first the assassination of Pakistani politician Salman Taseer and then the attempted assassination of Gabrielle Giffords in Arizona, which claimed the lives of six bystanders. Although thousands of miles apart, the two stories have many similarities, not least the atmosphere of fear and loathing in contemporary politics in both increasingly religiously fundamentalist countries. In Pakistan, Salman Taseer, governor of Punjab province was shot dead by one of his bodyguards who had taken umbrage at his campaign to repeal Pakistan's blasphemy laws. These make any criticism of the Prophet Mohamed an offence punishable by death - leading to a number of exceedingly spurious cases where people have been accused of blasphemy for totally unrelated reasons. In one recent case, a low caste Christian woman, Asia Bibi, who offered water to higher caste Muslim women was charged with insulting the Prophet and is currently under sentence of death. 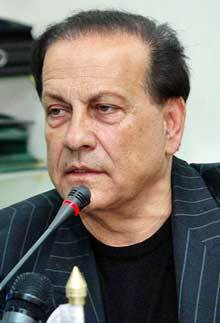 Taseer took up her case, among others, and has paid for it with his life. His opponents have equivocated - not endorsing the gunman, but not exactly condemning him either. Taseer should have been more careful about what he said, should have considered people's feelings, they suggest. It might be terrible that he had been shot, but, the implication is, perhaps he really brought it on himself. Indeed, the assassin, Mumtaz Qadri, has been lauded by many as a hero, standing up for traditional values and Taseer's friends have been warned not to mourn him. Thousands of miles away in Arizona, a lone gunman, Jared Lee Loughner, loaded himself up with ammo and strolled down to a local "open day" for the public to meet their elected representatives. Targeting Democrat Congresswoman Gabrielle Giffords, he shot her in the head and sprayed his bullets into the crowd. He killed six people, including a 9 year old girl, and wounded 14 more before being overpowered. Remarkably, although a bullet traversed the length of her brain, surgeons hold out the prospect of a good recovery for Gabrielle Giffords. But the health of American politics is another matter entirely. The would-be assassin has turned out to be a loner, but one steeped in the Internet rage of the US Rightwing. 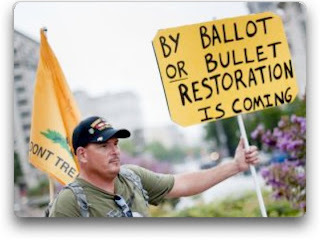 Recently coalesced around the informal (but well funded) Tea Party movement headed by former Republican Vice-Presidential candidate Sarah Palin, the far Right in the States has a large and growing coalition of the angry. Since the laws on bias in news reporting were removed by the Reagan Administration in the 1980s, the sensationalist rightwing "shock jocks" of American radio and cable TV, like Glenn Beck, have surged both in popularity and in brazen lies. They have, among other tactics, demonised swathes of the population - Hispanics, blacks and Muslims especially to tarnish them somehow as un-American fifth columnists. They have insinuated that both Bill and Hilary Clinton were involved in murder and extortion on their rise to the Whitehouse. Apoplexy reigned when Obama won the Presidency in spite of their best efforts to throw everything at him from not being a true American citizen (giving rise to the Birther Movement), to being a secret Muslim and organising concentration camps for imprisoning conservatives. The bankrupt ignorance of their cause peaked during the health debate with ludicrous monikers used to describe Obama such as "Communist Nazi". Sadly, their strategy worked and in November last year the Republicans won a significant victory in the House of Representatives, though not the landslide some had anticipated. But worst of all has been Palin and her acolytes - like many on the radical right using a collection of pseudo-religious and military rhetoric to describe the alleged threats to their country and the response they desire. While often not indulging herslef, she has done nothing to temper or rein in her acolytes and associaes as they rail on about "Armageddon America", the End of Days, 30,000 guillotines purchased to behead Obama's opponents, the New World Order Conspiracy, the sinister Black Helicopters, all of course underpinned by Islam's alleged desire to destroy the USA. Breathtakingly, Trent Humphries, one of the Arizona Tea Party's founders, has even described their movement as a co-victim of the shootings, shamefully disrespecting the deaths and injuries of the real victims. And the response they prescribe? 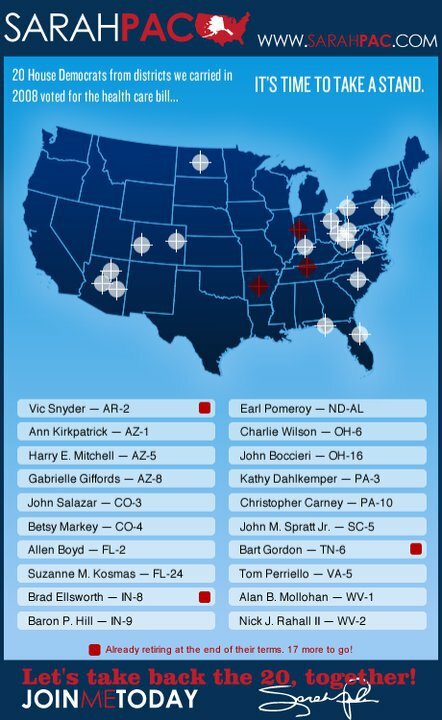 Time to go on crusade; time to fight; time to target opponents, as in the now infamous cross-hair campaign map published by Palin with Giffords' name shown as a through a rifle-sight. And Giffords own local opponent had encouraged voters to join him in firing machine guns to show their determination to "take back" their state: "Help remove Gabrielle Giffords from office. Shoot a fully automatic M16 with Jesse Kelly”. The BBC in is quaintly impartial way has struggled to emphasise that both sides of the political debate in America are increasingly divided from each other and strident in their rhetoric. Maybe; but there is no doubt that it is the radical right wingers who are taking this to the extreme, cranking up rhetoric and undermining both rational debate and encouraging violence. Again and again, it is the radical Right who are found with people in their ranks with obsessions with guns and a propensity to violence. Even in the UK, while hundreds of thousands of pounds of police money are wasted funding agents provocateurs to spy on climate demonstrators and students, it is extreme right wing BNP members and sympathisers who are letting off nail bombs to kill blacks and gay people, or pouring petrol through letter boxes to burn out asylum seekers. I can't recall the last time a liberal was convicted for shooting an opponent, burning property or planning explosions in public places. The Arizona gunman almost certainly worked alone and may indeed have mental health problems - but can his ramblings about the American Government and his violence really be divorced from a political atmosphere where it is acceptable to denigrate the President as a traitor because he wants to extend healthcare to poor people? Was he somehow immune to a culture which stigmatises those who do not agree with Palin and her acolytes as conspirators against the Nation under God? Not only Communist - but blasphemers and heretics to boot? Henry may have genuinely regretted Becket's death, but it was the atmosphere of violence around his Court, created by him, that made it happen. 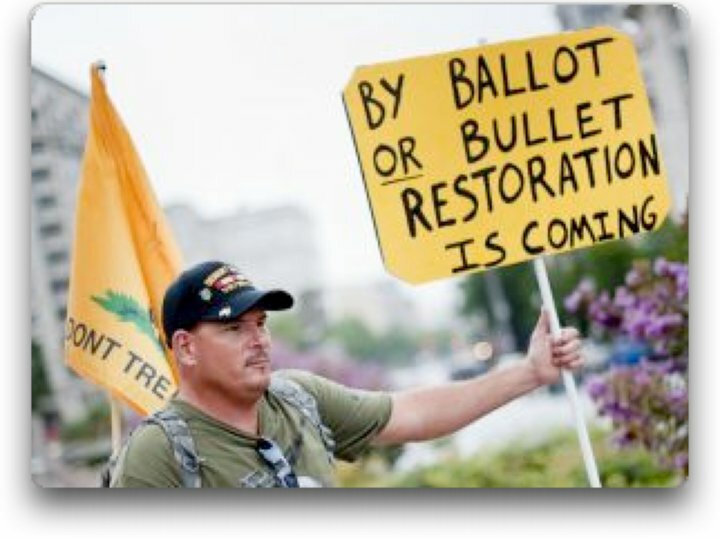 Similarly, Palin and the Tea Party may equally regret the Arizona massacre, but they too need to reflect on their words and actions, and how these have fostered a bellicose zeitgeist where the bullet is as valid as the ballot. They aspire to lead a movement, and consequently they must shoulder responsibility for it too. Likewise, the leaders of Pakistan's teetering democracy need to make clear that violence has no place in their politics. Clauswitz described war as "the continuation of politics by other means". In the hysterical, conflict-charged culture of contemporary politics, we must not allow those with sinister agendas to turn politics into war by other means. So how far have we come since Henry's knights rode like Sauron's Orcs to do their Master's dirty deed for him in Canterbury Cathedral that dark evening in 1170? And in such an atmosphere where well-funded, well-organised populists see democracy as just one of several tools to gain and keep power, how long will it be before they saddle up and once again ride out to do their Masters' (or Mistresses') unholy bidding? The actor and environmental activist Pete Postlethwaite has died of cancer at just 64 years of age. His film career was rich and varied and whether watching "Brassed Off" with its wrath (and his passionate speech at the end) directed at the closure of the pits by an uncaring government, or his sinister turn in "The Usual Suspects", or his role as the custodian of humanity's decline in "Age of Stupid", he was always engaging and fascinating. His work was realistic without ever being mundane, often thought-provoking but still often entertaining. He navigated both the mainstream with appearances in movies like "Jurassic Park", "James & The Giant Peach" and TV series like "The Professionals" and "Sharpe", and the more specialist genres, such as "The Constant Gardener" with its anti-corporate theme and "In The Name of the Father" with its exposition of British involvement in Northern Ireland. He was in last year's blockbuster, "Inception". Outside films, he was also an accomplished stage actor, including recently as King Lear. Suffice to say, having passed away all too early, he will be sadly missed by people from many walks of life. His activism was deep and genuine, void of courting the personal publicity that some thespians and other performers self-servingly seek about their "charity and campaigning" work. His "Age of Stupid", where he plays a custodian of the history of humanity looking back at our inability to save ourselves from self-destruction, will undoubtedly stand as a monument to both his acting and activism. He will be missed, but not forgotten. And we have a chance still to look forward to enjoying a new performance from him one final time in April, in the film "Killing Bono". Labels: "Age of Stupid", "Pete Postlethwaite"